OpenAI, an artificial intelligence research firm that’s funded by Tesla CEO Elon Musk, is set to unleash its specially trained bots on professional Dota 2 players next month, to see if they can beat the best in the business at their own game. 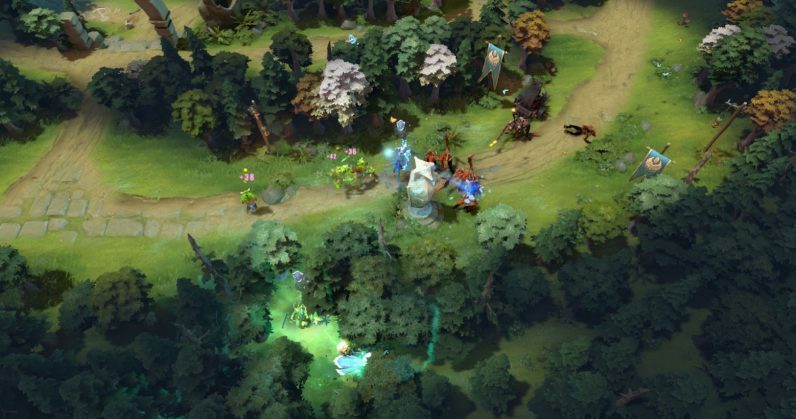 It’s not the first that OpenAI’s neural networks will face off against skilled Dota veterans: it’s previously defeated top players in one-on-one competitions in the immensely popular MOBA game, and has recently been victorious in matches against amateur teams, while playing with certain restrictions. One might argue that the OpenAI Five (the clutch of neural networks that make up the company’s Dota team) has an unfair advantage. The nonprofit says that the team uses 128,000 CPUs to play 180 years’ worth of matches against itself on a daily basis to train for its upcoming challenges. In addition, OpenAI encourages its five neural networks to engage in ‘team spirit’ by measuring how much each of them care about their individual rewards (metrics like kills, assists, and so on) versus those of the team. The idea is to see how a method called reinforcement learning can help AI go develop high-level strategies – not just for competitive gaming, but also for more general applications. It’ll be interesting to see how OpenAI Five fares against this year’s competitors at The International, the biggest annual Dota tournament on the planet. Ahead of the event in August, the company will host a match against top players on July 28, which you can stream live on Twitch. It’ll then go up against a team at The International between August 20 and 25 in Vancouver. The company’s work on this program is fascinating to follow; head to OpenAI’s blog post for more details on how its training works.